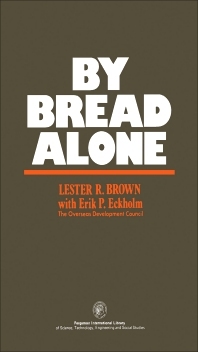 By Bread Alone is an interdisciplinary analysis of the global food situation and food production prospects. It examines the problems posed by the new international order, as well as the policy alternatives open to mankind. It also discusses the role of the United States, the world's breadbasket, in addressing the food crisis, particularly in shaping the "rules of the game" for access to raw materials, for expanding production, and for establishing global reserves. Comprised of 17 chapters, this book begins with an overview of the changing face of food shortage, together with the history and geography of malnutrition. The evolution of agriculture and famine in human history are considered, along with the impact of population growth and rising affluence on food supply. Subsequent chapters explore how the world's food systems are being undermined by ecological events such as climate change, deforestation, and eutrophication of lakes and streams; the growing problem of food insecurity; and the global politics of food scarcity. The next section deals with four basic resources relevant to food supply: land, water, energy, and fertilizer. Finally, policy recommendations aimed at addressing the global food problem are given. This monograph will be of interest to politicians and policymakers. 10. The Green Revolution: Opportunity Lost? 15. Hunger and Employment: Mutual Solutions?